Lord, today we ask for mercy in Peru. 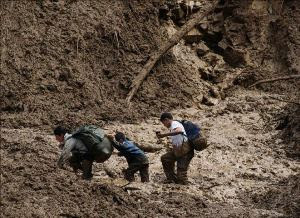 We ask for the rains to stop so the flooding and mudslides can cease. We pray for no more related deaths. We pray for people to find safe shelter, to escape from any areas where they may be trapped, to cling to life as they resist the floodwaters. Lord, we pray for rescuers to have strength, determination and effectiveness. We pray for the government’s efforts to provide emergency housing to be efficient. We pray for people to open their homes to those in need, even if that involves strangers. And we pray for Lima and its surrounding area to bounce back from this devastating flood season. In Jesus’ name we pray, amen. Watch a woman escape from a mudslide here, and praise God for her safety: https://www.theguardian.com/world/video/2017/mar/17/peru-flooding-woman-scrambles-out-of-vast-mudslide-video. Update on the woman who emerged from the mudslide: http://www.cnn.com/2017/03/22/americas/peru-mudslide-survivor-video/index.html.